. إن الخدمات التي يقدمها شقق بيناكل تضمن للنزلاء إقامة مريحة. إن واي فاي مجاني في جميع الغرف, خدمة غسيل ذاتية, خدمة سيارات الأجرة, مطبخ, تسجيل وصول/خروج سريع هي جزء فقط من الخدمات التي تميز شقق بيناكل عن باقي الفنادق في المدينة. في الفندق غرف نوم يتجاوز عددها 20، كلها مجهزة بعناية وجمال وبعضها مزود بـ تلفزيون بشاشة مسطحة, اتصال لاسلكي بشبكة الإنترنت (مجاني), حوض الاسترخاء, غرف لغير المدخنين, مكيف هواء. سواء كنت من محبي الرياضة أو كنت تتطلع لتفريغ عناء نهار صعب، ستجد خدمات ذات مستوى عالي بانتظارك كمثل مركز للياقة البدنية, مسار جولف - ضمن 3 كم, حمام سباحة خارجي. مهما كانت دواعي سفرك فإن شقق بيناكل هو خيار ممتاز لإقامتك في كانبرا. Beautiful and well run hotel, simple check in process and a no fuss check out. Room was clean and well appointed. Majority of staff were friendly and accommodating. rooms are quite small, the layout is a bit strange and the toilet is too close too the rooms..we can hear the toilet flashing from the bedroom. The 3 bedrooms apartment that I stayed was relatively old. Fridge and doors are partially broken. One of the room has no air conditioning and it’s hot at night. My key to the car park was also not working. Tri d to call reception and ask if they could open the gate for me but I was told that they can’t as there is only one staff at the reception and he cannot leave it unattended. So they make me drive back to the other side and told me that they forgot to set me up for two nights as they swapped my room with other guest before I checked in so I have been driving back and forth between the car park and reception to get them re-activate(my car park is allocated from the other side of the site rather than near the reception). The reception is also unattended when I tried to check out at 9:30 am while they said latest check out time is 10:00 am. So I guess I must have to queue up outside the reception and check out immediately once they are open? There was no problem with the apartments apart from the noise of people coming and going at all times of the night. The apartments were of a good standard and the staff were helpful and pleasant but it was difficult to get a good night sleep as the noise travelled. We were unfortunately assigned to the 3rd or 4th floor (I forgot) but because we were on a road trip. We had some heavy bags.. and there were no lift (elevator) which made our moving very miserable. The parking system was not really good as well for new checkin. Noisy on Saturday night with other guests drinking, including young adult guests continuing to drink in the facility grounds the next morning then leaving their empty bottles in front of the facility) Some minor issues with facilities (eg. parking spaces were full one evening, 1 TV didn't work on arrival but was replaced the next day, kitchen was not fully equipment - although office did provide additional items on request). Great place for a large family. massive 3 bedroom apartment with everything you could possibly need. Had a spa in the bathroom but the jets did not work. A second TV in the main bedroom would be a great addition too. Great location, close to shops & restaurants and a short drive to all the tourist spots in Canberra. Comfortable other the walk up a steep flight of stairs to your room especially when you have a load of stuff and luggage and you have the upper floors apartment. Unless you are prepared to climb, request for the ground level apartments. The apartments are convenient for the Canberra Kingston area business traveller, rooms are sizeable and clean, and restaurants located in the area provide a good selection of foods. All good and have stayed there many times before. 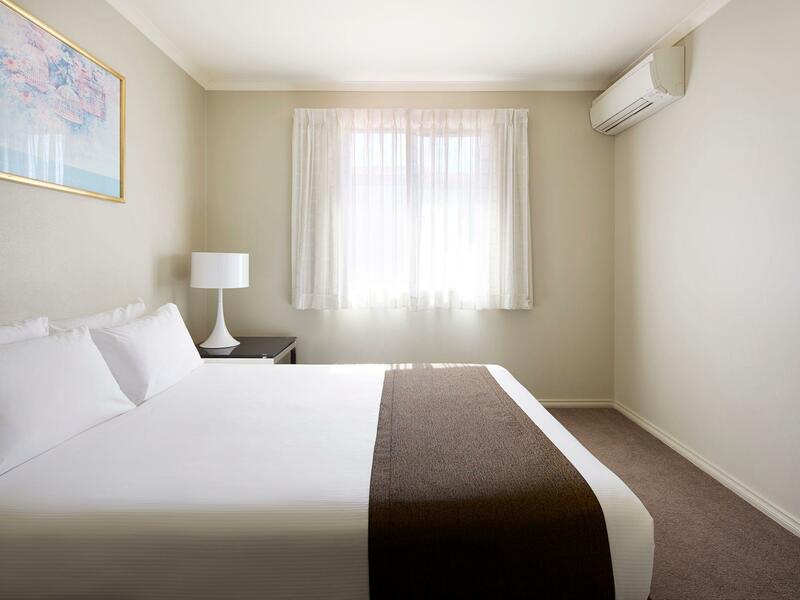 This facility is convenient for the Canberra business traveller to Kingston and surrounding areas, rooms are relatively sizeable and clean, and in-house restaurant has a good selection of food with a great breakfast. 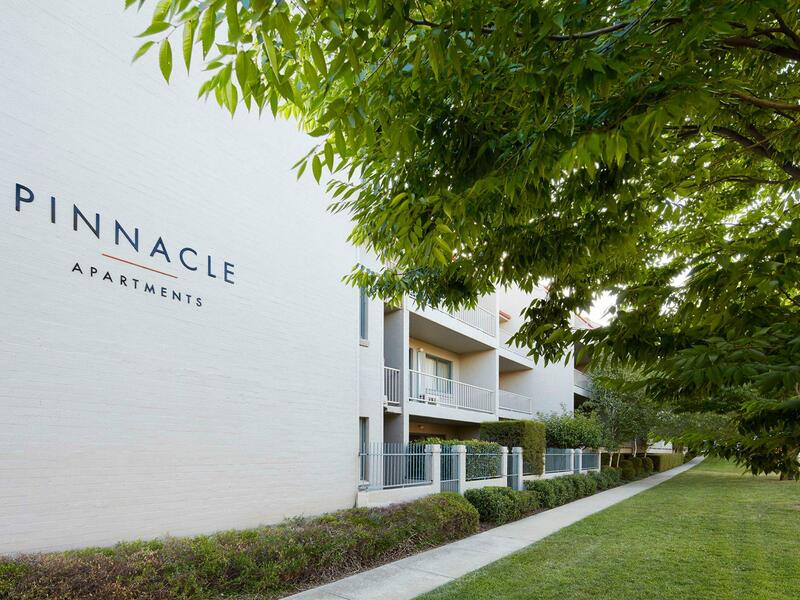 We had the 4-BR apartment at the pinnacle and it was just perfect for the whole family. The facilities are nice especially the fully equipped kitchen. We don't need to go out for lunch or dinner since we can cook anything at the apartment. The rates are very affordable and the location is just a few minutes drive from the city centre. The staffs are very nice too. The location of this set of apartments is wonderful within in walking distance of Manuka and KIngston shops and the Lake foreshore. The apartment was clean but sparsely furnished and very basically provisioned. we were 4 adults and needed to ask for a second armchair or lounge so that we could all sit down. The bathroom was fairly newly renovated and air conditioning warmed the lounge/dining area. Value for money was good because of the cleanliness and location but not because of the view which was a blank wall! Great location. Apartment is spacious. But no lift to our 3 bedroom apartment. Car park lot is tight and small. Internet does not work throughout our stay as no internet on our second night. Great facilities, clean & spacious rooms, accessibility to everything! The location is quite far away from the city and other attraction. However the staff were very good. they were helpful. bus stop nearby and also some good food (found 2 halal ones) near by.